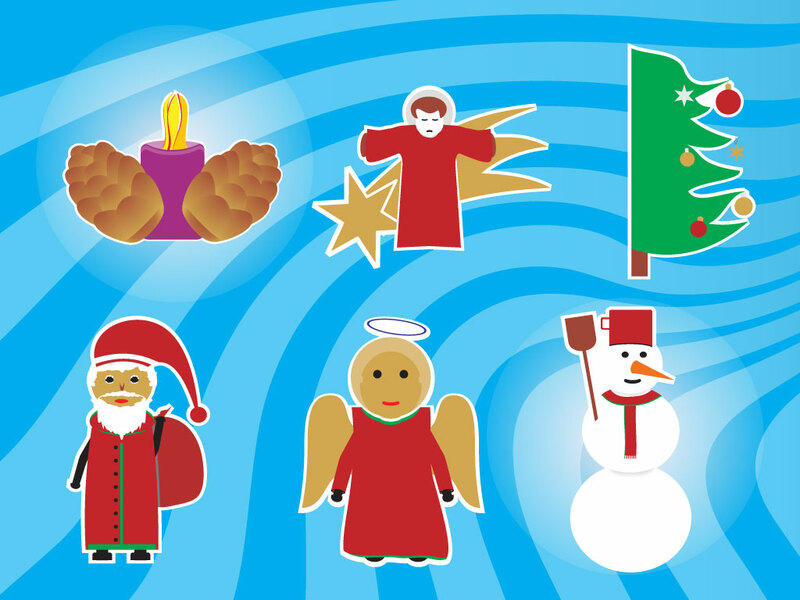 Six different Christmas characters are included in this design pack including an angel, Jesus, Santa Claus, snowman, Christmas tree and decorations. Cute, fun graphics for your holiday and winter designs. Download as AI and PDF formats for your vector library. Tags: Angel, Christmas Tree, Decorations, Jesus, Pine, Santa Claus, Snowman.